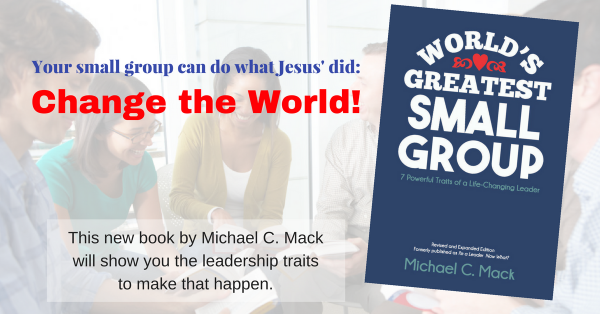 I received a question on another site to the first post in this Commitment and Small Groups series. QUESTION: Just was reading about the group that got tattoos, wow! I wish that symbolism transferred to the heart. Discipleship is a tough tackle. … That particular group probably has the right people in if they were all willing to ink up together. So much of it is getting the right spiritual chemistry. Some groups have a short shelf life because those people were not good material? I’m not sure I’d say that some groups have a short life just because of bad chemistry, although that’s possible. But that’s kind of like saying people get divorced for the same reason. Yes, that happens, but this is my point: commitment to one another, accepting one another, loving one another “as is,” being patient with one another, honoring one another above yourselves, being devoted to one another in brotherly love, … all trump the way we humanly think people fit. Here’s another way to think about it. Small groups work not because they are made up of the “right people”; they work because in a small group community God can form us into the right people! Yes, it takes some level of commitment to have “Jesus” tattooed on our arms, but it takes even more commitment to allow him to ink our hearts in a way only he can to change us from the inside out into the kind of people who love one another unconditionally and love others to him. Discipleship is indeed a tough task, but not impossible, of course. When people commit to Christ, commit to their group, and commit to mutual discipleship, however–counting the cost for that high calling and high commitment, depending on the Holy Spirit to make the changes–we grow as disciples who go and make disciples. This is why we do small groups!